While bickering over the contents of a magic pouch, Cary, Clarisse, and Gregory unintentionally summon three fearsome birds of prey. 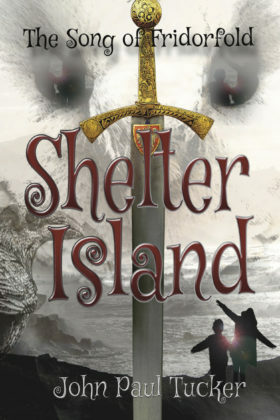 These warriors of an ancient race sweep the siblings away to Shelter Island: a world between worlds, long-protected behind a powerful veil of turbulent fog. There they must fight to save not only an ancient civilization but their homeland from an ancient evil. Book 1 of the The Song of Fridorfold series.